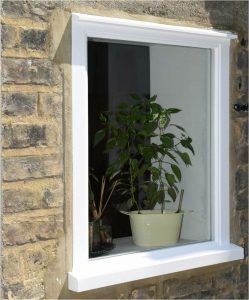 We supply casement windows designed to perfectly match your existing windows in Traditional, Contemporary and Heritage styles, and each style can be manufactured either as a flush casement window or storm proof casement window using a choice of timbers including Accoya, Sapele, Oak and Engineered Redwood. Easy to open or close and virtually maintenance free they offer high levels of heat insulation, energy efficiency, security and sound insulation. Equally suitable for new builds, conservation projects and older properties, take your choice from a wide variety of glazing to suit your needs including patterned, smoked, obscure, extra-safe and laminated glass. We also provide a choice of durable, attractive frame finishes and furniture to ensure your new casement windows blend perfectly with then existing features of your home. Our professional team will be happy to answer any questions you have or schedule a time for one of our professional joiners to visit your home and provide you with a free, no obligation quote for your new casement windows.